The centuries after the end of Roman control of Britain in AD 410 are some of the most vital in Britain's history - yet some of the least understood. "Warlords" brings to life a world of ambition, brutality and violence in a politically fragmented land, and provides a compelling new history of an age that would transform Britain. By comparing the archaeology against the available historical sources for the period, "Warlords" presents a coherent picture of the political and military machinations of the fifth and sixth centuries that laid the foundations of English and Welsh history. Included are the warring personalities of the local leaders and a look at the enigma of King Arthur. 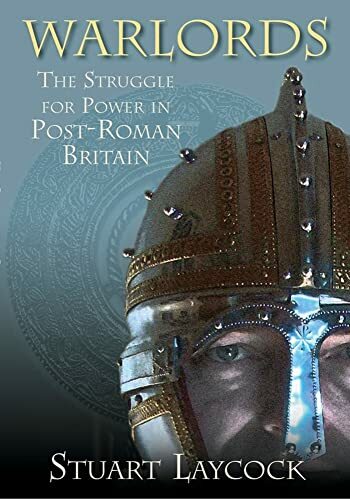 Some warlords sought power within the old Roman framework; some used an alternative British approach; and, others exploited the emerging Anglo-Saxon system - but for all warlords, the struggle was for power. Stuart Laycock studied Classics at Cambridge. He has worked as a writer, and as an aid worker in Bosnia and Kosovo. His particular combination of original research combined with first-hand experience of the dynamics of tribal conflict brings a unique perspective to this subject. He is also the author of Britannia: The Failed State, nominated for Book of the Year 2009 by Current Archaeology.